The U.S. Federal Communications Commission has approved satellite operator Globalstar’s plan for a land-based wireless service using its own spectrum. The approval on Friday came just a few weeks after Globalstar made the modified proposal, but the agency had spent years weighing the company’s original plan, which would have used part of the unlicensed 2.4GHz band that is mostly devoted to Wi-Fi, Bluetooth, and other popular technologies. Globalstar owns a license for 11.5MHz of spectrum next to the 2.4GHz band, which led the U.S. to set aside part of the unlicensed band as a buffer to prevent any Globalstar service from interfering with unlicensed services. In 2012, the company asked for permission to combine its own spectrum with the “guard band” set aside in 2.4GHz so it could set up a service that might augment Wi-Fi. The new service would have made use of a part of the unlicensed band that isn’t available in the U.S., but Globalstar or a partner would have been able to control access to the spectrum. 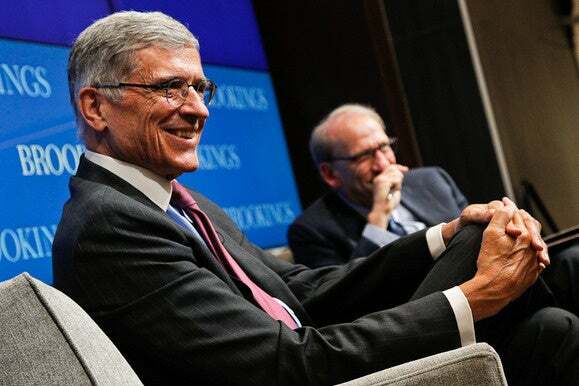 FCC Chairman Tom Wheeler supported the plan, but critics said it would hurt Wi-Fi and Bluetooth. Globalstar never got the votes it needed, and after the presidential election last month, which set the stage for a change of leadership at the FCC, the company dropped that plan for the less ambitious one that was adopted Friday. It says the proposal that was adopted will make more spectrum available to U.S. consumers and improve wireless broadband service. “We look forward to a busy 2017 as we plan to put our terrestrial authority to use for American consumers and pursue similar authority internationally,” Globalstar Chairman and CEO Jay Monroe said in a press release. Globalstar faces an uphill battle to build a network and a device ecosystem around its spectrum, which isn’t part of either the unlicensed or the traditional cellular world. It’s likely to make a deal with a bigger partner, like one of the major U.S. mobile operators, analysts say.